A veritable blue wave has swept across the country that was so hopeful that their future was going to be a red one just a few short years ago as the right won through in overwhelming fashion, taking 155 towns. Paris stood alone amongst the survivors of the routing, with Anne Hidalgo holding onto the capital, taking over from the highly popular Bertrand Delanoë. The extreme right-wing Front National is now the third party of the republic and the results see it with 11 mayors, including significant towns such as Béziers and Fréjus. The performance of Hollande as president is something that French voters are not hopeful of any more and there seems to be something in the results that is longing for a return to the days of a smart-alec go-getter president who knew how to pull the rabbit out of the hat when required (i.e. such as Nicolas Sarkozy). Instead, Hollande has reacted by stamping his authority on the situation. Jean-Marc Ayrault – the man who came to the post of Prime Minister as the ultimate organiser and achiever from his reign as mayor of Nantes – was the one who had to take the hit for the dreadful results in the local elections. 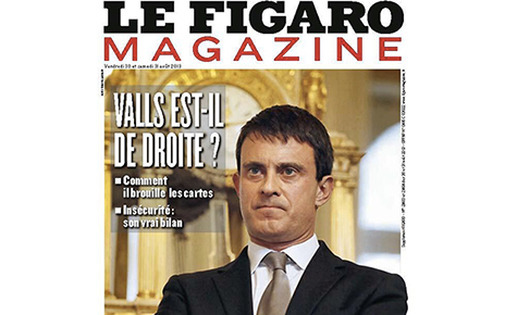 In his place, is the most popular politician in the Hollande administration – Manuel Valls (main picture). The national press in France has focused on this choice of Hollande, with many seeing it as a last-ditch play of a desperate man eager to win back the popularity of the masses after a disastrous year of unimpressive economic performance and dithering and public humiliation over his private life. A number of newspaper headlines have played on the surname of the new Barcelona-born Prime Minister and the word “valse“, meaning “waltz” to talk about the change of dancing partner of the President and wonder where this merry dance will lead the country over the next three years. There are many comparisons too between the situation that Hollande finds himself in now and that of a Socialist president from another era François Mitterand. He was elected as head of state on a huge red tide in 1981 only to see a large blue tide wipe away much of his power in the 1983 local elections. In his case, Mitterand altered his policy rather than his cabinet and held out until 1988 before giving in to the temptation to reshuffle and to dump his popular Prime Minister Michel Rocard. One local paper (Le Journal de Haute-Marne) notes that the major cabinet reshuffle and the ousting of such a star as Ayrault was “the price that had to be paid so as not to expect failure in the 2022 presidential elections”. “François Hollande has killed his best friend,” says Midi Libre, “and gives us a re-run of ‘Mitterand’ who forced the popular Rocard to leave in 1988”. 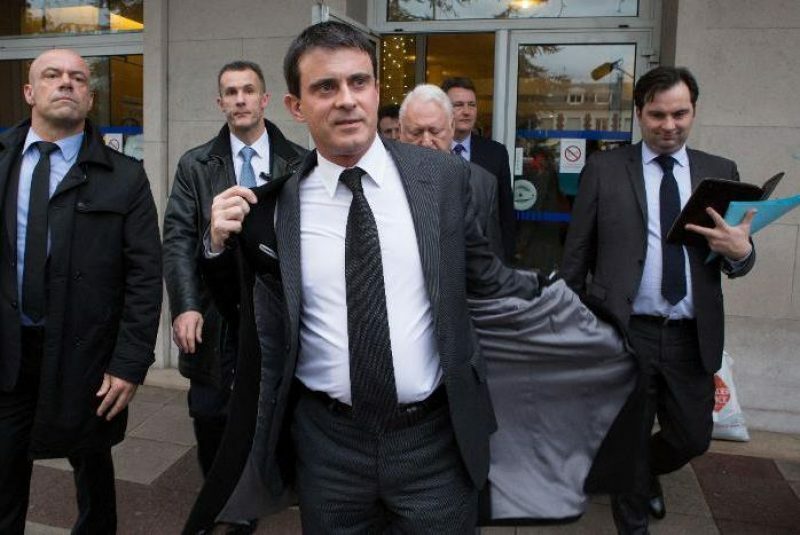 This theme of Valls threatening to overshadow the president is a recurring one and many see parallels between the rise of the energetic Valls and that of his right-wing counterpart Nicolas Sarkozy. Like Valls, he came through as a highly popular Interior Minister to become Prime Minister only to overshadow the (then) president Jacques Chirac, even becoming party leader while the president was still in office.